NEW YORK, NY - October 25, 2017 - Progress Partners is proud to have been an underwriter of NYC TV Week's Advanced Advertising Summit last week on October 18th at the Sheraton Times Square. 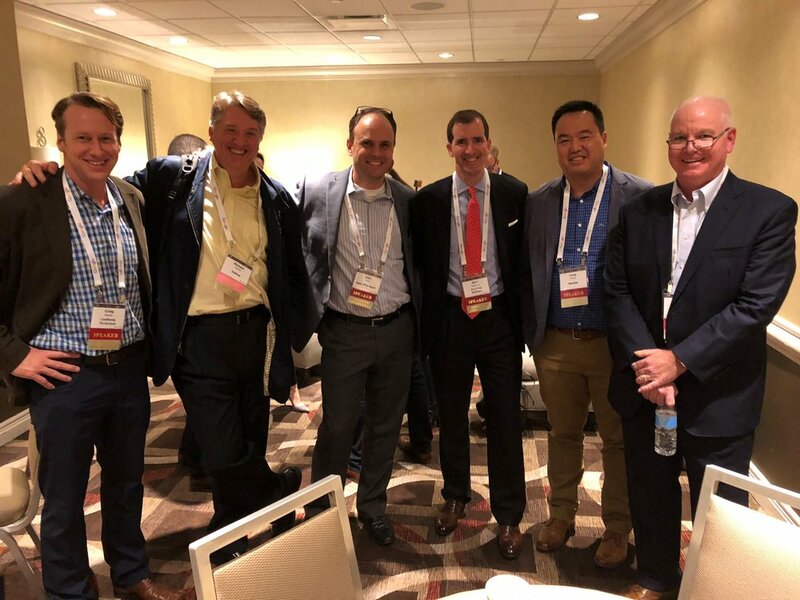 Nick MacShane, founder and senior managing director, was selected to moderate the one-day summit's final 4:30pm panel session, "Data, Data Everywhere," with an esteemed panel of CEOs and senior management from some of TV's top analytics companies. An abundance of first- and third-party data is allowing both advertisers and TV/video content providers to tap into advanced TV advertising’s potential by creating more precise marketing target segments – far beyond traditional ratings or demographic reach. This panel explored how both sides of the advertising equation are retooling their operations for more data-driven value propositions and results. 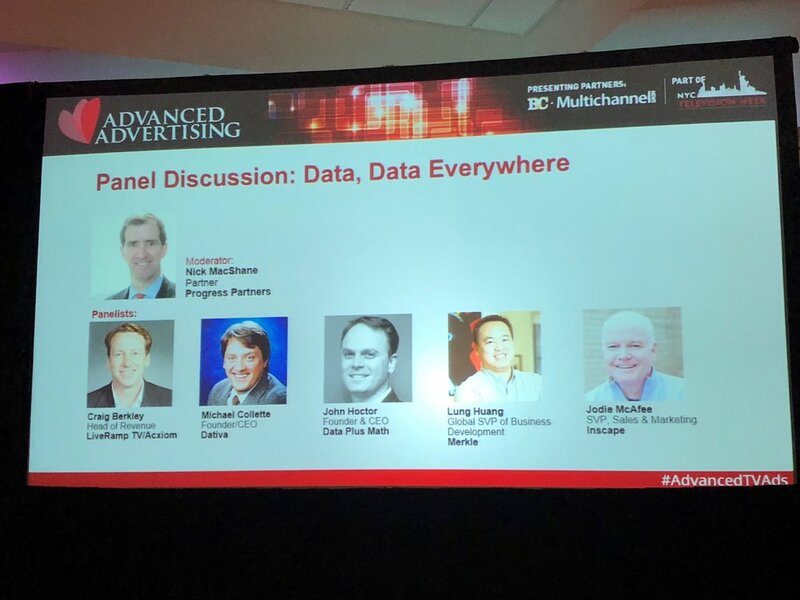 Panelists debated the rate at which TV is evolving and using data to push into the next phase of advanced advertising in television, and discussed the need for frictionless buying now that there are finally datasets available that is digital in scale. There was also discourse around the need in the advanced ad marketplace to have a standardized definition of audiences, enabling a metric for networks to price against. With part of the conversation circling the "Content is King" trope, some of the panelists posited TV is a much more efficient medium of advertising, with John Hoctor, Founder and CEO of Data Plus Math punctuating the topic and declaring, "TV builds brand equity, period." Lung Huang, Global SVP of Business Development at Merkle, took the contrarian view, noting that "TV drives real results until sales aren't up." Most TV data and measurement are still heavily tied to the Nielsen "golden standard," and the majority of the experts were unable come to a consensus around a best alternative to what Nielsen has been able to provide for decades. Jodi McAfee, SVP of Sales and Marketing at Inscape, provided insight into how heavily companies rely on Nielsen data, stating that "if your data disproves Nielsen data, that would be catastrophic to my business." Innovations in data measurement and data analytics have grown at warp speed for much of advertising as it has entered the age of digital. TV, however, is still catching up to digital on many fronts, but as improvements around datasets and audiences increase, advertisers and brands have access to the tools to refocus and reshape their relationships to maximize value from advanced advertising in television. This year on October 18th the industry’s most innovative thought leaders will come together for a full day of dynamic content and connections that explore the impact of data and automation in TV advertising. Join the senior execs who are driving success as they team up with buyers, sellers and tech providers to share their expertise and experience. Gain access and insights into what’s new in the business of TV advertising and build one-on-one relationships with viewers while driving TV’s key revenue streams. Don’t miss your chance to grow your connections and your business! To learn more about their summit, visit www.advancedadvertisingsummit.com.